On Aug. 28, 2014, I spoke with the Corcoran State Prison Step Down Program (SDP) facilitator who confirmed I was on the list to be transferred to Tehachapi (California Correctional Institution, or CCI) and that I would be stepped up a step – from Step 2 to Step 3 of the SDP. On Sept. 2, after returning from law library, I was told to pack it up for transfer to Tehachapi. As I was rushing to pack and separate my things – from things I was taking with me and things I was leaving behind – the floor staff returned to my door no more than five minutes later and told me that a van was waiting on me; therefore, they were going to pack my property for me, because I had to get on that van. Thus I was not given a moment to properly express a heartfelt goodbye to all those I have shared a huge part of my life with. Leaving that building section and prison for my last time was the saddest departure I ever took from any place in my life. I just pray I see all my brothers again, somewhere down the line, in a much better place than what we have endured for way too many years. In the meantime I will always keep them with me no matter what. 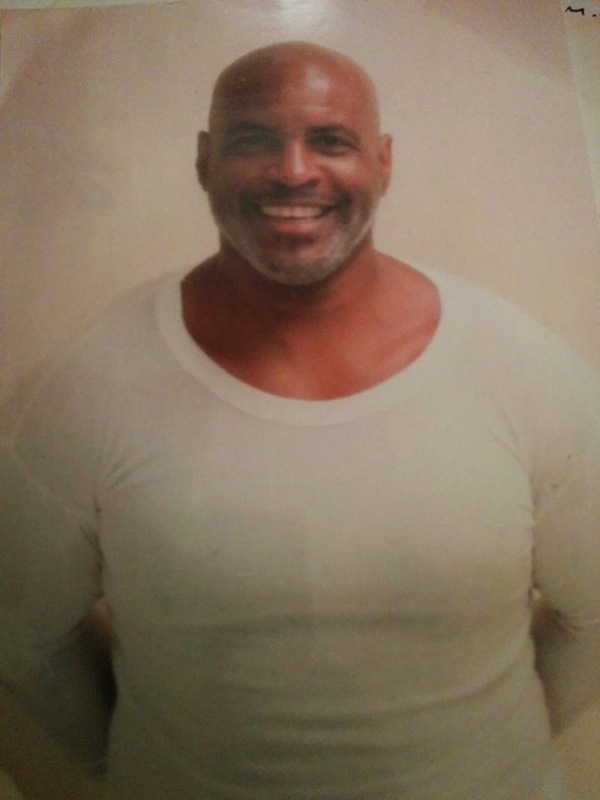 Anyhow, after my third day here, that old saying my mother so often preached came clear to me: “The grass ain’t always greener on the other side of the fence!” With that I must say that Tehachapi State Prison (CCI) SHU is the worst prison or jail I have ever been in during my 23 years of incarceration. From the clothing to food portions, to medical, etc., etc., which I will elaborate further on. Next, the facilitator, Villareal, and Warden Davey did keep their word; therefore, on Sept. 16, 2014, I was advanced up a step, to Step 3, so that’s all good. But the big lie is that there is a functional Step 3 and 4 program at this prison. That’s a lie, and “functional” is the furthest thing from the truth this prison could ever boast about, because this prison is so unfit in so many ways that it could never ever be a functional Step 3 and 4 until it has completed a major overhaul and retro-fitting. With that, the staff here would have to be retrained and they would have to get rid of their old style of thinking and oppressing prisoners as well before they could even begin to start moving toward establishing a genuine Step Down Program. They (CCI, Tehachapi) have admitted that security-wise they cannot allow most of the movement set forth in the SDP, because there are way too many blind spots that put prisoners and staff at risk – a security risk – and it’s going to cost them in the hundreds of thousands of dollars just to do one building. Therefore, in the meantime we are getting fucked out of all our opportunities, programming and amenities. The big lie is that there is a functional Step 3 and 4 program at this prison. That’s a lie, and “functional” is the furthest thing from the truth this prison could ever boast about, because this prison is so unfit in so many ways that it could never ever be a functional Step 3 and 4 until it has completed a major overhaul and retro-fitting. On Sept. 26, 24 days after my arrival, I received my property, wherein my TV, radio, thermals, books, cosmetics (hygiene), cup and pictures were confiscated. My TV and radio, staff said, were “altered,” because of holes in the electric cord, and my radio had a small cut in the casing to access the ground wire. My thermals had a patch sowed on the elbow to cover a small hole. Books had sexual content. Hygiene was not in clear see-through container. The cup, they said, could be made into a weapon. Now back to the issues here. They are not allowing us to have any containers for canteen or otherwise, because they said we have in-cell electric plugs that we could use to melt down the plastic and make a weapon – but now the contradiction is that seven days a week our lunch comes in plastic lunch bags and every item in our lunch is wrapped in plastic. When you arrive here, they give you a bed roll and a clothing roll. The bed roll consists of two blankets and two sheets. The sheets are badly worn – thus I immediately had to wash mine by hand. The clothing roll consists of one pair of boxers, one t-shirt, one pair of socks, one towel. The t-shirt and boxers are all very badly used, so that you can see the excreta of the previous owners and all the sizes are kid sizes – so small and tight-fitting that they are disrespectful, undignified, dehumanizing, demoralizing etc. One would never want to be caught wearing them outside of one’s cell. If you did, the whole yard would never let you forget about it. And the sad part about it is, that is your full issue, all you are issued for your whole stay here, period. Once a week they have laundry exchange that is on a take-it-or-leave-it exchange, wherein you have to exchange a full roll to get a full roll in return. You cannot exchange just one or two items. Full roll only. All clothing rolls are pre-made, wherein size and cleanliness are not considered. They just throw the four items together, roll them up, which makes it a gamble on the size you receive and how clean they are. My cellie Sitawa has been here since July 17, 2014, and has been doing this laundry exchange thing every week since, and he still has not yet gotten a full set of clean clothes his size. They issue you a small paper Dixie cup and a small, thin plastic picnic spoon that you use to drink and eat with for the duration of your stay here, and you have to maintain your Dixie cup and picnic spoon for two or three weeks, until supply exchange. Cell cleaning supplies: They issue you a small yellow rag, and once a week you have to push your rag under your door on the ground, and an officer will come by and pour disinfectant on your rag. You have to sop up as much disinfectant as you can that was on the ground and then squeeze it into a milk carton to preserve it as long as possible. This practice is so disrespectful that we refuse to participate in it, although these are the only cleaning supplies they issue. TV stations are ABC, CBS, NBC, Fox, MY13, COZI, two Spanish stations and four church stations. They have no PBS or any learning stations or animal (nature) stations, and the sad part about the above stations is, the signals all struggle to stay in range all day long, every day, and at least three to four times a day each one goes out at different times and stays black from 30 to 50 seconds, and some blink in and out, fighting to come in. Then some will go blue for one to two hours. These stations are crazy, so I am not missing my TV yet. But I wish I had my radio, because they do have good radio stations, from what I am hearing from the guys who have radios. We have no in-cell mirrors, and the only mirror we have access to is a very small mirror on our shower door and it’s so small you can’t even see your whole face in it. For property, they have a policy that your property is supposed to follow you immediately after you get off the transportation bus. All the floor staff know about this policy: IGI (Institutional Gang Investigations) is aware of this policy, our counselor is aware of it, but the property officer refuses to adhere to this policy. It took 24 days for me to get my property. With that, the property officer follows a very, very foul practice wherein TVs and radios regularly come up missing. And he confiscates whatever he can, for the smallest, pettiest reasons. So you can believe you will be angry when you finally receive your property. When he goes through your property, he is on the hunt to take what he can, as much as he can. My cellie Sitawa and I were both in the pain management program at our previous prisons. For over five years at Corcoran SHU, I took various pain meds and different strengths of medication, until I was finally prescribed a combination of pain medication that comfortably managed my pain, and for three successful years I had no pain issues on those doctor-prescribed meds. On Sept. 9, after arriving here, I was removed from the pain management program and taken off of all pain medication. On Sept. 10, I was summoned to the medical clinic here where I was seen by a doctor, Dr. H. Tate, MD. Dr. Tate is an old war veteran who has a high threshold for pain, and he believes that all prisoners should too. He also follows the strict practice of “If it’s not killing you, …” he will save the state money by not treating you. Thus, Sitawa and I were removed from all pain medication and reduced to over-the-counter Tylenol. So we are forced to bear through our pains throughout the day, and some nights we aren’t sleeping throughout the night because of the pain we are forced to fight through. Dr. H. Tate, MD. Dr. Tate is an old war veteran who has a high threshold for pain, and he believes that all prisoners should too. He also follows the strict practice of “If it’s not killing you, …” he will save the state money by not treating you. Thus, Sitawa and I were removed from all pain medication and reduced to over-the-counter Tylenol. So we are forced to bear through our pains throughout the day, and some nights we aren’t sleeping throughout the night because of the pain we are forced to fight through. Yeah, this ain’t a “Step program” and it isn’t even fit to be a SHU program, which makes you question why they even attempted this project here and put “Step bodies” here, when staff knew they would not be able to provide us with the basic policies that govern and make up the program. We are having group meetings, group dining, group yard, no tier tenders, and we are only able to walk to showers once a week without being cuffed and escorted. We can’t buy our own cups from canteen. We can’t have the containers that many canteen items come in, when in Corcoran and Pelican Bay they let you have everything, and they sell personal cups and bowls in their canteens. And those prisons are Step 1 and 2 of the SDP. Those in Steps 1 and 2 at Corcoran and Pelican Bay have way more privileges and they are treated with more respect and trust than we are at Tehachapi, and we are supposed to be in a “more advanced” step. With that, this whole program and the atmosphere of the program is supposed to be about individual accountability, where we are all held accountable for our own actions, and no longer being punished as a group. Well, we are still being punished as a group here in Tehachapi; and there is not even a thought about accountability. We have no rights here – no rights at all and we’re forced to have to endure the worst SHU in California. With that, this whole program and the atmosphere of the program is supposed to be about individual accountability, where we are all held accountable for our own actions, and no longer being punished as a group. Well, we are still being punished as a group here in Tehachapi; and there is not even a thought about accountability. We have no rights here – no rights at all and we’re forced to have to endure the worst SHU in California. Send our brother some love and light: Aaron Jabari Scott, H-30536, CCI Tehachapi, 4B-7C-209, P.O. Box 1906, Tehachapi, CA 93581. This letter was written Sept. 29, 2014. Michael Durrough is still without an extension cord for his CPAP machine, which is necessary for his sleep apnea. Without this cord, which is allowable property but currently withheld on warden's discretion, Michael risks the possibility of stopping breathing while sleeping every night. Calls to the Receiver's office are especially welcome. (The receiver's office will call you back and will tell you that they can't give out peoples' personal medical info, but all you need to do is reply that you're not asking for such info and are just asking that the individuals you have called about receive appropriate and timely care). - Kambui was rushed to hospital many times, he was given the wrong insulin on several occasions, etc., and Heshima, who has been in the vicinity of Kambui for more than 10 years now, has called 'man down' on many occasions due to lack of glucose or emergency food, lack of access to a blood level test, etc. It is only due to Kambui's own careful self-care that he has survived until today. But he is going blind and suffering neuropathy in his limbs badly. - Kambui also needs an MRI-scan to determine nerve damage in his brain. Although we concentrate on these three people who are on a hungerstrike, they have expressed that it is for all people with a disease, chronic or not, at CSP - Corcoran.